Draft: 2010, Oakland Athletics, 27th rd. December 10, 2017 Seattle Mariners released RHP Seth Frankoff. October 9, 2017 RHP Seth Frankoff assigned to Leones del Caracas. October 2, 2017 Seattle Mariners recalled RHP Seth Frankoff from Modesto Nuts. September 6, 2017 Seattle Mariners optioned RHP Seth Frankoff to Modesto Nuts. September 4, 2017 Seattle Mariners claimed RHP Seth Frankoff off waivers from Chicago Cubs. September 1, 2017 Chicago Cubs designated RHP Seth Frankoff for assignment. June 10, 2017 Chicago Cubs optioned RHP Seth Frankoff to Iowa Cubs. June 8, 2017 Chicago Cubs selected the contract of Seth Frankoff from Iowa Cubs. November 17, 2016 RHP Seth Frankoff assigned to Iowa Cubs. November 16, 2016 Chicago Cubs signed free agent RHP Seth Frankoff to a minor league contract. November 16, 2016 RHP Seth Frankoff roster status changed by Chicago Cubs. November 7, 2016 RHP Seth Frankoff elected free agency. October 2, 2016 RHP Seth Frankoff assigned to Leones del Caracas. September 7, 2016 RHP Seth Frankoff assigned to Oklahoma City Dodgers from Tulsa Drillers. July 26, 2016 RHP Seth Frankoff assigned to Tulsa Drillers from Oklahoma City Dodgers. July 15, 2016 RHP Seth Frankoff assigned to Oklahoma City Dodgers from Tulsa Drillers. July 5, 2016 Tulsa Drillers sent RHP Seth Frankoff on a rehab assignment to AZL Dodgers. May 31, 2016 Tulsa Drillers placed RHP Seth Frankoff on the 7-day disabled list. April 6, 2016 RHP Seth Frankoff assigned to Tulsa Drillers. April 5, 2016 Los Angeles Dodgers signed free agent RHP Seth Frankoff to a minor league contract. March 30, 2016 Midland RockHounds released RHP Seth Frankoff. March 4, 2016 RHP Seth Frankoff assigned to Oakland Athletics. October 7, 2015 RHP Seth Frankoff assigned to Navegantes del Magallanes. May 29, 2015 RHP Seth Frankoff assigned to Midland RockHounds from Nashville Sounds. May 1, 2015 RHP Seth Frankoff assigned to Nashville Sounds from Midland RockHounds. April 7, 2015 RHP Seth Frankoff assigned to Midland RockHounds. March 5, 2015 RHP Seth Frankoff assigned to Oakland Athletics. 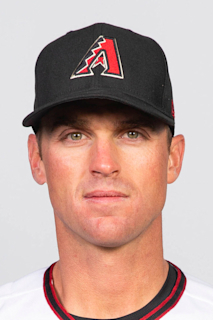 December 20, 2014 RHP Seth Frankoff assigned to Navegantes del Magallanes. November 8, 2014 RHP Seth Frankoff assigned to Estrellas de Oriente. July 1, 2014 Seth Frankoff assigned to Sacramento River Cats from Midland RockHounds. March 30, 2014 RHP Seth Frankoff assigned to Midland RockHounds from Stockton Ports. March 3, 2014 RHP Seth Frankoff assigned to Oakland Athletics. May 31, 2013 Stockton Ports activated RHP Seth Frankoff from the 7-day disabled list. May 17, 2013 Stockton Ports placed RHP Seth Frankoff on the 7-day disabled list. April 1, 2013 RHP Seth Frankoff assigned to Stockton Ports from Beloit Snappers. April 2, 2012 RHP Seth Frankoff assigned to Burlington Bees from Vermont Lake Monsters. April 4, 2011 Seth Frankoff assigned to Burlington Bees from Vermont Lake Monsters. August 1, 2010 RHP Seth Frankoff assigned to Vancouver Canadians from AZL Athletics. June 21, 2010 Seth Frankoff assigned to AZL Athletics from Oakland Athletics. June 11, 2010 Oakland Athletics signed RHP Seth Frankoff.